The demand for housing property has always been at the peak point. Because of having enormous demand, all the real estate business owners are trying to connect with customers through online media. Logically, it needs real estate photography to present your business broadly. 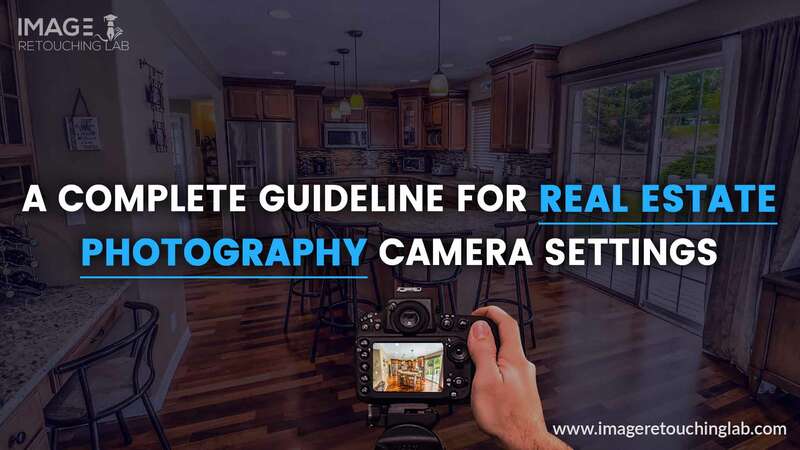 Today, we are going to show you real estate photography camera settings to get the most benefit from this. Well! Before that, you should know some basic tips about this type of photography that will definitely help to enhance your skill. Let’s go through this. Many experts have given several tips and tricks to make real estate photography more precise. So, we are providing you some of its key points to improve your skills on it. Let’s have a look into it! Whether you are shooting for the real estate sector, you need a well-decorated house or property. Empty houses don’t look nice to make a realistic photoshoot. Use some essential furniture that adds value to your work. Let the audiences know how space can be used with furniture and different elements. One thing to remember, don’t overdecorate it. It may look something noisy in the frame. 1. What should be the first criteria in any demanding photography? Yes, it should be done by a professional photographer. Do you prefer to shoot the photography of the real estate industry with an intern photographer? Absolutely no! So, make sure to hire a professional real estate photographer for this. 2. We already mentioned about decorating the housing property. Now it’s time to prepare the individual parts of the space. You shouldn’t create the same environment to shoot. A kitchen has a different outlook with its properties compared with a bathroom. For example, it’s better to remove the elements like dish soaps and paper towels from the kitchen. On the other hand, you should keep the toilet seat and lids down and clean the mirrors and glass to shoot a bathroom. 3. Technology has induced a massive change in almost every industry. Real estate photography is not out of its touch too. Try to use the latest technology like drones. Whether the property is large, cover it using a drone. Though it is a matter of massive investment, you can keep this on your list if the budget is a little bit higher. 4. Your photography will need some editing or retouching after the photoshoot. It will make the look better of your real estate property online. Suppose, photos of a room having some dark sports or reflections won’t be able to catch much attention from the audiences. Sometimes, you may need to remove some unwanted objects from a photo. For these reasons, a professional photo editor or retoucher can help you out in several ways. 5. In every type of photography, there are some basic rules or criteria to make it perfect. Before starting photoshoot, analyze some great and remarkable pictures in this industry. It will increase your skills as well as help to capture the strategies of experienced photographers. 6. Not every single photo from your click will get high-priority from the customers. You have to capture more and more pictures to choose the best. So, shoot it from different angles and wait for suitable pictures that can be used on your site. Customers will try to examine every possible corner of your place. It’s better to present the most attractive photos of your vast collection. Every creative work needs time to take preparation. Before you go for a real estate photo shoot, you need to have a necessary preparation for this. 1. Most of the photographers use to start their photography with a fresh camera. What do you mean by this? At first, It should be clean enough. You should be careful in taking care of the equipment like lens, glass, tripod, and many more. It helps you to take neat and clean pictures for your project. 2. Start with a new memory card on your camera. Check the space before starting photography. Sometimes, the element can be affected by bad things like viruses or corrupt images. It’s better to start with a formatted memory card that has no bug. 3. As a real estate photographer, you should know what to keep on your bag. Keep the materials that are necessary to take better shots. Some of the key accessories are strobes or speedlights, radio transceivers, tripod, lens filters, handheld light meter, gaffer tape, etc. Before shooting a perfect picture, a photographer should have sound knowledge in camera settings. Now, we are briefing about real estate photography camera settings to take high-quality images for making your project successful. 1. Use Aperture priority mode to shoot for real estate photography. It should be between F7.1-11. It helps to produce better results, even in a dark environment. If you increase the aperture range, it will take a longer time to shoot. So, try to keep in mid-range rather than increasing or decreasing it. 2. To keep the real estate property realistic on your camera, make shots within 12mm on cropped sensor bodies. If it’s on full-frame, you can make it up to 18mm. Don’t expand it as it may lose the natural look of the property. 3. For real estate photography, HDR setting should be used. Otherwise, you may choose the manual settings rather than the automatic mode. Also, you can use self-timer in taking photos at the time of movement. 4. Use an external flash and keep it on. In terms of space capability, it may need to use multiple flashes. To brighten deep shadow areas, put it on the lowest settings. 5. Another major setting for real estate photo shots is shutter speed. It is measured in second and fractions as well. For this category, it will be better to put between 1/60 and 1/2 a second. 6. ISO is an important factor for both interior and exterior real estate photography. Try to keep it below 400. Many experts suggest to keep it 320. 7. As tripod is an essential real estate photography equipment which should be placed carefully in terms of getting good quality pictures. It makes your camera stable and helps to click the exact photos as per your need. Well! Maybe you got some points about real estate photography camera settings and also tips to achieve high-quality pictures. Most of the famous real estate photographers will agree with this. Do you have any other idea to make it more professional? Feel free to share our experts that help our valuable audiences.